In A Clearing Season this week, the chapter focuses on weathering storms — those inevitable setbacks and disruptions to our spiritual growth. The unexpected discouragement and frustration we sometimes feel in our journey with God. Parsons reminds us that “setbacks are friends to faith,” for they teach us we need God. She also writes, “Setbacks can cultivate true humility, the capacity to be one’s true self, [and] remind us of our glorious calling to be ourselves before God and the world.” Whether you are in the midst of a storm right now or know with certainty as I do that you will find yourself tossed about in a sea of frustration and anguish in this life, I think it’s helpful to remember that Jesus experienced these setbacks, too. We meditate this week on the story of our Lord’s Passion and wait in hopeful expectation outside the tomb, ready to rejoice in his Resurrection. Sometimes the race to that great Alleluia seems rather rushed, though, as if come Palm Sunday we’ve got the cake frosted, the balloons up and the confetti in our hands — we’re all gathered and giggling ready to turn on the lights with that huge SURPRISE! The anticipation is exciting, but in that sort of rush we miss out on the deeply transformative rituals and mysteries of Holy Week, so I invite you this week to slow down and contemplate Jesus’ life and ministry just a little longer. Who was he? How did he weather storms? What can we learn from his humanity? I’ve been doing this during Lent by following along with the daily readings in John’s Gospel. When I read John’s Gospel, I can’t get past just how many times Jesus points out the lack of faith in his followers. It seems on just about every page of that Gospel in my Bible, he’s grumbling and poking and asking Why do you not understand what I am saying? He grows weary, in my opinion, of those who remain blind to who he is, who can not have faith in his words alone but require signs. I love this weary Jesus. I love that he sighs, groans, rolls his eyes. It makes him human, this subtle impatience. I’m pretty sure this eyerolling Jesus isn’t the traditional reading of his character, but it’s how I read him in this particular Gospel and his wry complexity makes the narrative interesting for me. Recently during our bedtime reading, my nine year old daughter and I put down Homer and read instead the day’s scriptures, the readings that in the Catholic Church are said at daily Mass. 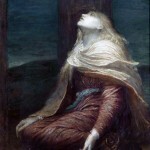 Some of you may be familiar with John’s story of the adulterous woman thrown before Jesus by an angry mob ready to stone her to death. Jesus famously responds with, Let the one among you who is without sin be the first to throw a stone at her. My littlest love is quiet and snuggling into me as usual beneath her cozy blankets, and after a minute or two of silence, she says to me, Shouldn’t Jesus have thrown a stone at her, then? I didn’t know what to say. She’s sort of right, if you follow the logic. More complexity. And yet, he defies her logic and instead offers the woman his gentle hand of mercy. No one condemns you. AND NEITHER DO I. Go, and sin no more. Last Sunday we heard John’s story of Lazarus raised by Jesus from the dead. When Mary came to where Jesus was and saw him, she fell at his feet and said to him, Lord, if you had been here, my brother would not have died. 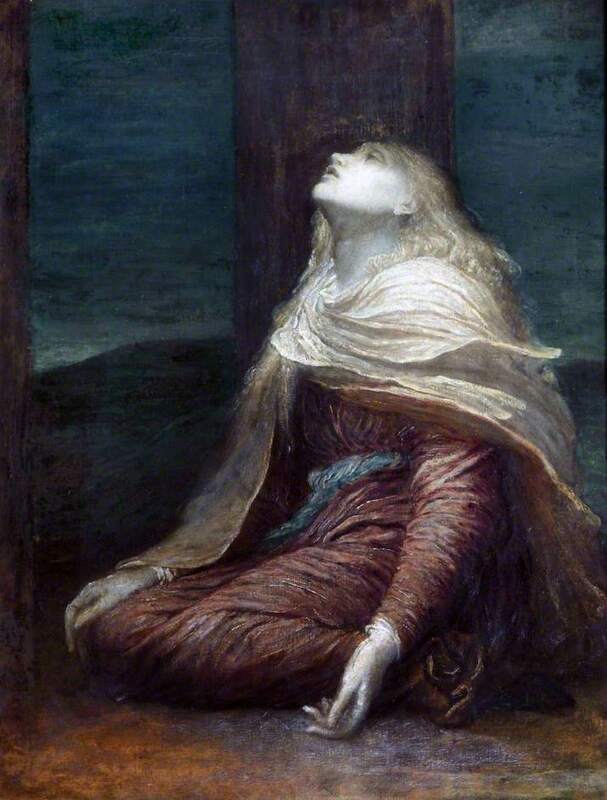 When Jesus saw her weeping and the Jews who had come with her weeping, he became perturbed and deeply troubled, and he said, Where have you lain him? They said to him, Sir, come and see. And Jesus wept. Many believe that Jesus weeps at Lazarus’s tomb because he sees Mary and Martha and the others crying. Such an emotional scene would forge a lump in anyone’s throat, and the usual interpretation is that he is filled with compassion and joins them in their sadness. But I think Jesus is “perturbed” and crying because they don’t truly believe in him. I can almost imagine a soft and slowly emitted sigh just before he asks where they’ve lain him because he’s thinking, here I go again, having to prove myself. My Bible has a footnote explaining that the word “perturbed” is a startling phrase in Greek and translates to “He snorted in spirit,” and the editors suggest this snorting was perhaps in anger at the presence of death. I don’t think he’s angry, though. I think he’s annoyed. This is the eyerolling Jesus I love so much, and he is about to perform the miracle of all miracles to prove once and for all he is the Son of God. He loves Martha, Mary, and Lazarus, and when someone you love does not have faith in you, that is certainly cause for tears. Jesus wept for them and their disbelief. He is the light of the world, but people continue to live in darkness. Despite John’s depiction of this eyerolling, perturbed Jesus. Despite Luke’s showing us a Jesus weary and wondering how long he must weather our storm and put up with our disheartening faithlessness. Despite our unworthiness, our betrayal, condemnation and ridicule. Despite all this, Jesus suffers, dies, and rises again in forgiveness of our sins. And if he finds us worthy of such love, compassion, and forgiveness, shouldn’t we be able to do the same? Do not judge, and you will not be judged; do not condemn, and you will not be condemned. Forgive, and you will be forgiven. How are you reminded of God’s presence in your life? Take some time this week in the space you’ve cleared this Lenten season and just feel that presence beside you. How might the need for forgiveness enter your own life? What burdens are you still carrying like a heavy stone? Are you ready to lay these burdens down at the foot of the cross?